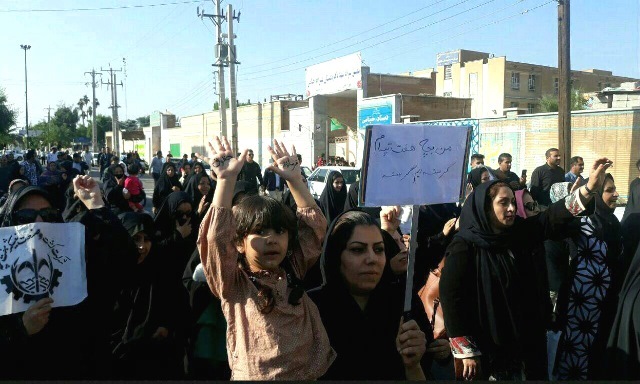 Workers at the Haft Tapeh sugar complex in Shush continue their 18-day strike and mass protests to claim wages which have not been paid since August against a background of skyrocketing living costs. 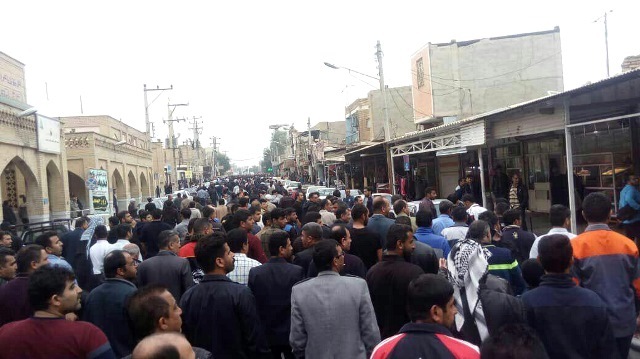 On November 14, protesting workers gathered in front of the offices of two local members of Parliament and then moved the protest to the Khuzestan governor's office when the MPs failed to respond. The protests then returned to Shush. On November 18, 18 prominent workers activists were arrested. Four of the arrested activists - Mohsen Fazeli, Ismael Bakhashi, Mohammad Khanifar and Moslem Armand - have been taken to Ahvaz prison, where they have been denied access to legal counsel. Reza Rakhshan, a veteran union leader of the independent Haft Tapeh workers union who previously served time in prison for his union activities in 2010-11, has been under constant surveillance and summoned repeatedly to court. Local sources now report that the military has been dispatched to Shush. There is unfinished business: the company has not recognized the union, which was established in the course of a 42-day mass strike over unpaid wages in 2008. The union continues to insist that daily contract workers are also paid the wages owed them. And there are no guarantees that management will not revert to form and again deny workers their wages. The country's already dire economic situation has deteriorated further since February, heightening tensions and bringing with it the risk of mass repression. Trade unions around the world must urge the Iranian government to ensure full payment of wages, the withdrawal of the military, release of the arrested and negotiations with the workers' representatives.